The Center will be a new landmark for the South Side and an economic engine for the city of Chicago. It will draw hundreds of thousands of visitors every year, creating thousands of new jobs on the South Side, while giving new life to Frederick Law Olmsted’s vision of a cohesive, walkable, and iconic Jackson Park. But most importantly, it will be built with direct feedback and engagement with our community. As we embark on this important work, we will use every opportunity to strengthen the community around us. 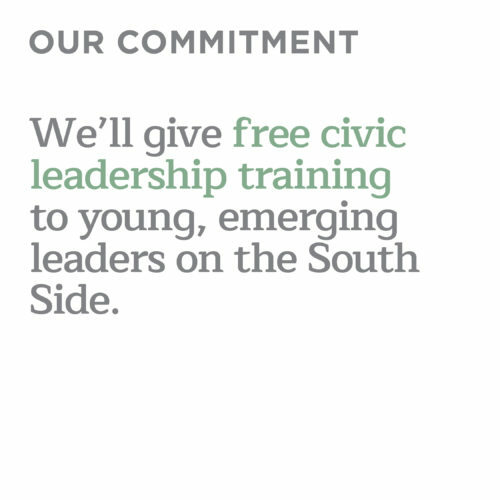 We have developed core principles that guide our work along with specific commitments we have made to our neighbors to date, which will live in a document that we will consistently update with new commitments so our neighbors and fellow Chicagoans can track our progress, hold us accountable, and offer feedback as we embark on this historic endeavor together. Read our full community commitments statement. Since we announced our initial vision for the Obama Presidential Center in May of 2017, we’ve made it our top priority to meet with our neighbors and hear their feedback directly. We know that not everyone is able or has the desire to attend public meeting, so we’ve made it our mission to meet people where they are. We’ve gathered in church basements, visited community centers, and assembled folks at apartment complexes so we could directly solicit input on the plans for the Center. We’ve also had a total open-door policy, willing and eager to meet with anyone who has an interest in the Center. Whether we meet with supporters or concerned neighbors, the input on everything from housing to parking has sharpened our plans and made the Center better. To see a comprehensive list of our meetings with the public, click here. In May of 2017, we first announced the preliminary designs of the Obama Presidential Center campus in Jackson Park. Here’s the original announcement of our vision for the Obama Presidential Center. More details on other feedback we received and the resulting changes we made are below. You wanted to see more landscaping, a protection of green space across the campus, and a commitment to quiet, restorative space. Prioritized protection of green space by minimizing the footprint of the tower, providing space for exhibits vertically rather than expanding the footprint of the building and taking up more parkland. Created an extensive network of landscaped paths and unprogrammed park zones, including developing a scenic and generous “promenade” along the Lagoon to honor the original carriage walk designed by Olmsted and Vaux, which is currently a six-lane roadway. Added a berm to the east side of the campus and created additional gardens and ponds, providing noise reduction from vehicles near the Women’s Garden and lagoon area. Designed the campus buildings so that almost two-thirds of the building’s total footprints are covered by park surface that will roll up and act as the “roofs” to two of the campus’ structures. You had a desire for more inviting and welcoming entrances to the Center to connect it to the community. Added a more prominent entry to the site at the southeast corner. Removed the pedestrian bridge from the parking facility to the museum building. Created a larger opening at the base of the Museum Building, as well as an enormous “window” to give it more of an open feeling to those on the outside of the building. You had a preference to see parking on-site at Jackson Park rather than at the Midway. Moved the parking facility from an above-ground location on the Midway to an underground location within our site boundaries at Jackson Park. You had concerns about the design of the tower structure. Refined the conceptual design, creating a proportioned tower more emblematic of the OPC's message of hope and inspiration. Added courtyards at the base of the Museum Building and in the Plaza to increase greenery and provide additional shaded outdoor spaces for visitors to the OPC’s lower level. You wanted to see trees across the landscape. Included the planting of over 400 new trees in the proposed landscape design of the project site area – more than is estimated to exist today. You wanted to protect bird watching in Jackson Park. Hired professionals on our design team who are experienced with bird habitats to advise on plantings that will attract a variety of birds and help us ensure we are protecting the natural habitat of birds. Designed the shape and opacity of the Museum Building to ensure that this building will not unnecessarily endanger birds in flight. You had concerns about protecting the historic landmarks on our site. Preserved the location of the Women’s Garden and elevated its importance and accessibility by removing the high-speed roads that encircles it. Retained the historic comfort station. You had concerns there was too much activity on and around the Wooded Island. Removed the pedestrian bridge to the Wooded Island. You were concerned about closing Cornell Drive and wanted to minimize increased congestion in the area. Worked with CDOT to propose road improvements along Lake Shore Drive and Stony Island that would allow traffic times to remain consistent with what they are today after changes are made to Cornell Drive. Eliminated bus staging at the park at the Midway and removed the proposed curve in Stony Island Avenue. You wanted to ensure the Center's spaces would be engaging for young people. Dispersed children’s play areas throughout the site, as opposed to keeping them in a single location. Committed to educational programs associated with the Community Garden. 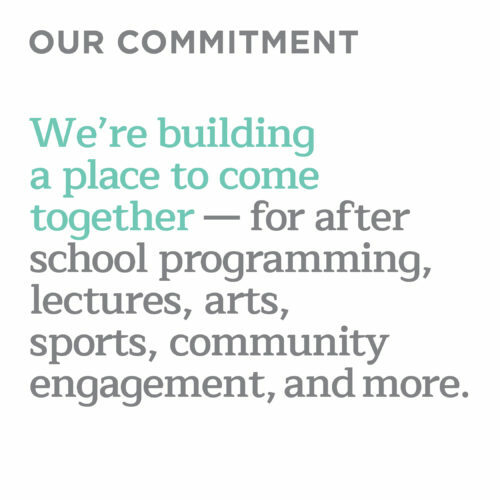 Committed to youth-oriented programming in the Athletic Center, recording studio, and auditorium. Created a partnership with the Chicago Public Libraries. Large-scale institutional projects like the Obama Presidential Center are often awarded to big-name majority-owned construction firms. We decided early on in the planning process that we would do things differently. Any firm participating in our request for proposal process would have to provide evidence of a serious and longstanding commitment to diverse representation at the decision-making table, as well as a belief in our shared values of community engagement, diversity, and inclusion. 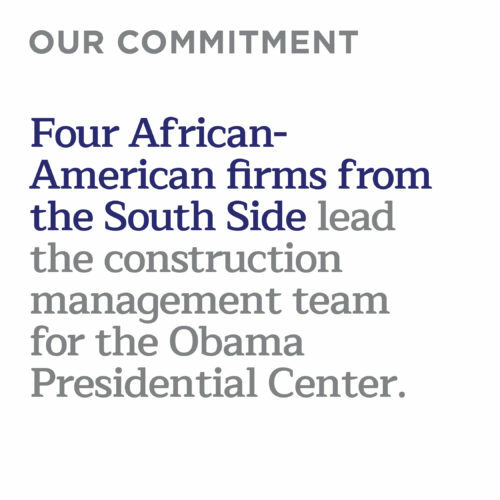 The Lakeside Alliance—our partners in the construction of the Obama Presidential Center—brings together four of the largest, most respected African-American-owned firms in Chicago, with one of the largest construction management firms in the U.S. In Lakeside Alliance, we saw a partner with the willingness to do the hard work necessary to overcome obstacles that make it difficult to build diverse workforces. 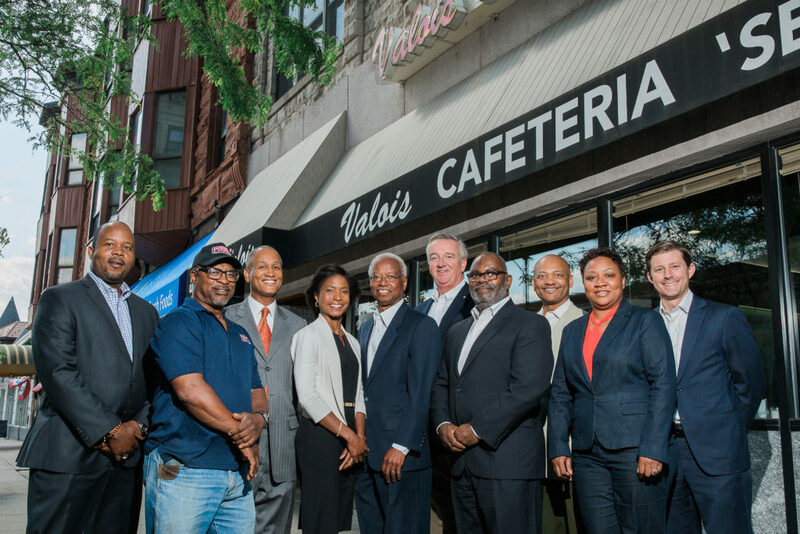 Lakeside has committed to working to build a pipeline of talent from underrepresented populations that are not only equipped to build the Obama Presidential Center, but are also prepared to participate in future projects across the city. With four African-American-owned firms at the head table, the construction of the Center will benefit from their expertise while ensuring it reflects the diverse community we share. The Obama Foundation belongs as much to the people of the South Side as it does the Obamas—and we’re looking first to local residents to help build it, in every way. In June 2018, the Obama Foundation announced the selection of Jacqueline Gomez as its Director of Real Estate Inclusion and Ernest R. Sawyer Enterprises as its Diversity Consultant. In addition to empowering and connecting people from around the country and the world, the Obama Presidential Center will also be a boon to the local economy. During its construction and first ten years of operations, the Center is estimated to create thousands of new jobs and infuse $3.1 billion into the local Chicago economy. Read more about how the center will benefit the local economy on the South Side.